Here it is, my first review! Im very excited about doing these because not only do I get to try out new treatments but I get to share my findings with you. Yay! 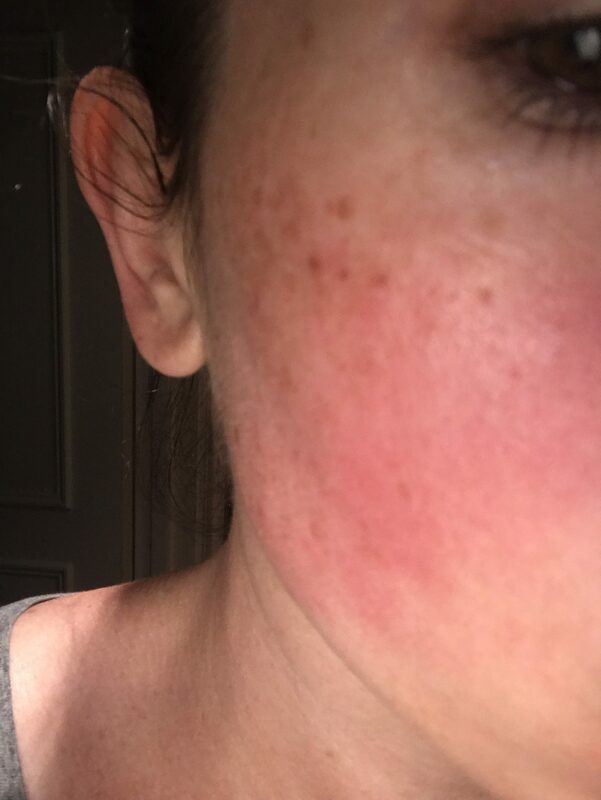 Over the past few months I’ve been having IPL (Intense Pulse Light) on my face to try and combat the pesky pigmentation I have on my cheeks and forehead. One sign of natural beauty and healthy skin is a balanced skin tone, with no extreme colours and IPL claims to balance this. Now, if you know me, you’ll know I DO NOT bake myself in the sun and I stay well protected by using a topical antioxidant and a decent SPF every single day. However, I have a typical English rose complexion and my skin wasn’t protected from damage when I was younger – so the cute freckles I once got, now turn into clumps of pigment (read: brown age spots) and I don’t like it! What is IPL intense pulse laser? Very basically the Intense Pulse Laser machine gives a treatment where a flash of light targets and shatters areas of colour in the skin to breakdown the pigment. I had four treatments of IPL, each approximately 4 weeks apart and they were performed by a highly skilled, knowledgable beauty therapist/practitioner at a well known laser/skin clinic. A few days after IPL for pigmentation. What happened during the IPL treatment? I’d already been through the consultation process and had a patch test prior to my first treatment, which is where you can ask all your questions, gather all the info and ensure you’re suitable. I am a bit of a wuss when it comes to pain, and let me tell you now – this treatment did sting! It was like having an elastic band being pinged on my face, over and over again each time the laser flashed. However my therapist was very reassuring, she used a cold compress to sooth the treated areas and she tried her best to distract me from the discomfort. It was all over fairly quickly and you know what they say – no pain, no gain! Plus, I went back for more! As you can see from the photo above, my skin was glowing, to say the least, it felt quite warm in some areas. I was advised to keep hydrated and apply a rich moisturiser and to keep cool. The very next day (and after lots of nourishing soothing creams) my face felt amazing! On one occasion I had a warm tender spot (which lasted approx 24hrs) But overall my skin felt and looked plump and really hydrated. Nice. What wowed me was how the pigment literally lifts and comes to the surface of the skin (and looks a bit like dirt) I loved this! As you can see from the image above my freckles became even darker than they were prior to my treatment. Eeeeek! Some people may feel a bit self-conscious about this look, but it fascinated me…I loved seeing the pigment rise and fall! 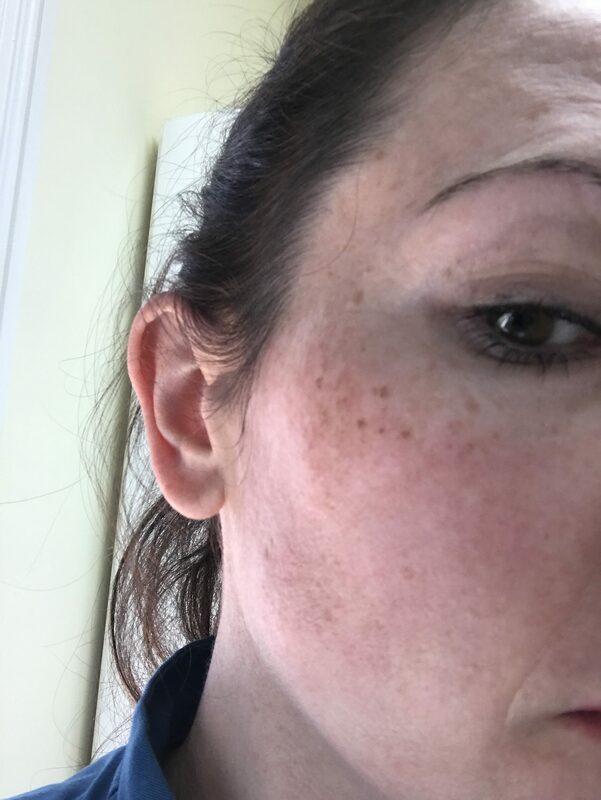 The spots of ‘dirt’ (pigment) didn’t last long and after a few days they disappeared leaving my pigmentation vastly reduced. Yay! 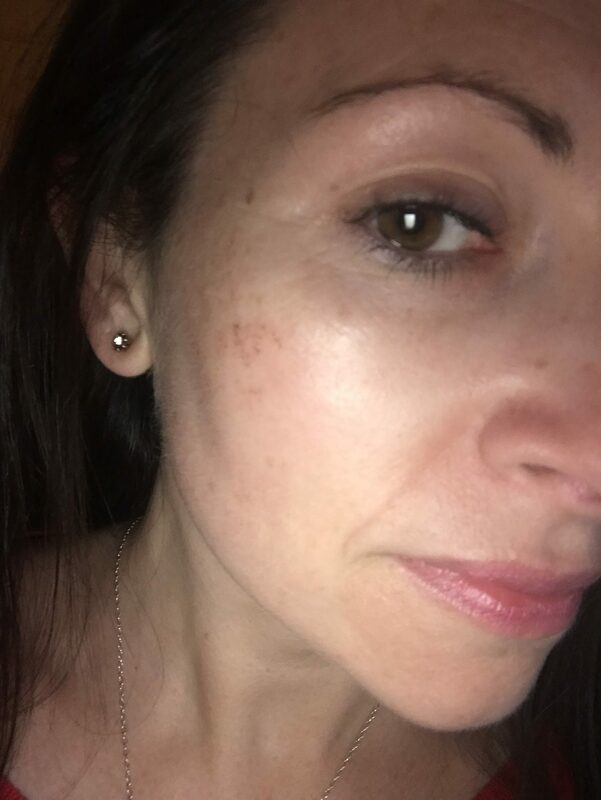 Below you can see my skin two days after treatment, still some pigment to come away, but no redness and my skin feels and looks generally healthy and hydrated. Would I recommend IPL treatment? Is IPL value for money? 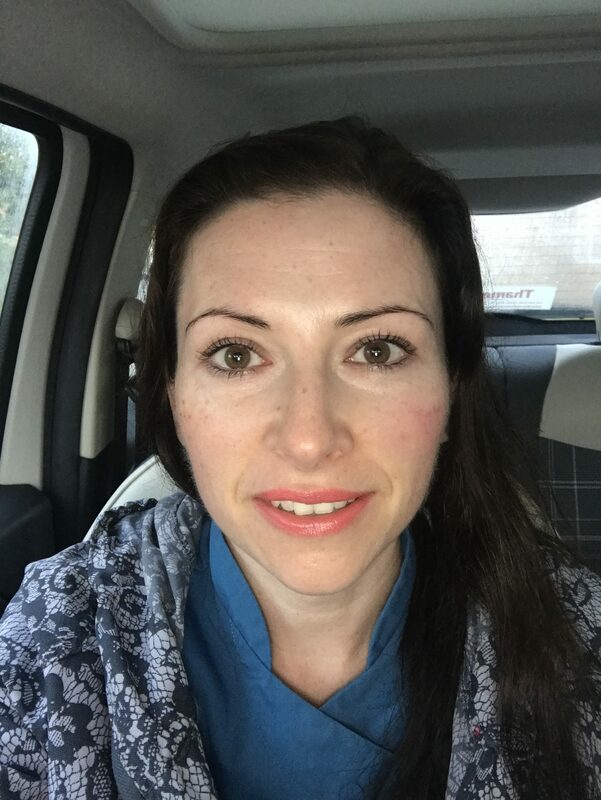 Secondly – If your pigmentation bothers you or not; mine annoys me which is why I was so pleased with the results of the treatment. If your pigmentation makes you feel less than gorgeous, then I believe its a worthwhile investment. Thirdly – If you don’t have the time or patience to use pigment reducing products – these do get results but not as quickly. Always have a thorough consultation first, to ensure you’re suitable for treatment. You should be offered a patch/trial test before you go ahead. You cannot wear skin makeup (and I certainly didn’t want to) for at least 24 hours afterwards. You cannot be recently sun-exposed or even have fake-tan on your skin before treatment because you’re at a higher risk of burning. You would need to avoid any active skin products (retinols, peels, acids etc) for a few weeks prior and after treatment. In conclusion – I am now a fan or IPL for pigmentation and would recommend it. The Ordinary product review; L-Ascorbic acid and Buffet peptide serum.